Serving North Beach Ocean Shores since 1997. 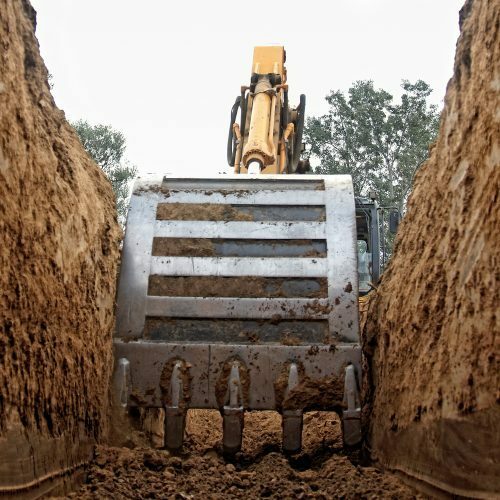 Backhoe Northwest, LLC specializes in excavation, landscaping and tree services, backed by decades of expertise and a full inventory of equipment. Our skilled professionals go the extra mile to make sure your land is cleared, prepped and shaped exactly as your project demands. We serve all of Aberdeen-Hoquiam, Ocean Shores and the greater Washington area. Get a quote on service today. What’s your vision for your landscape? Whether it’s clearing brush and excavating so you can start fresh or simply shaping the land for your lawn and garden, Backhoe Northwest, LLC is ready to help. We have an entire fleet of earthmoving equipment on-hand, and more than 40 years of combined experience at our backs. We’re the premier choice for excavation in Hoquiam, WA, and we continue to prove it with every job we tackle. No matter the size or scope of the job, or the features of your property, we’re prepared to deliver the services you need to get the most out of your landscape. Our landscaping services in Hoquiam, WA are fully tailored to meet the needs of your specific property. In fact, we even take on the jobs that other companies can’t! From grading and erosion control, to ditching and foundation digging, we can work directly with customers or in tandem with developers, to achieve the landscape your property needs. Best of all, we’re versatile at any stage of a project—whether you’re prepping for initial construction or adding the finishing touches to a beautifully-designed landscape. Contact us today to learn more about how we can leverage our equipment and experience for the betterment of your property. All of our equipment operators are fully certified and experienced, ensuring exceptional results for your project! We’re pleased to be a recognized member of our local Chamber of Commerce. We have an entire fleet of excavation equipment, to ensure we’re well-equipped for whatever tasks your job holds. Our team is ready to provide you with a quote on services. We stand behind our work and always strive to meet the highest expectations of our customers. From land clearing and demolition, to landscaping, grading, tree services and more, we’re the experts to call when you need quality work on your property, done fast! Get a quote today.